Evenly Plus is a unique formula of natural oils with phenomenal capabilities proven to remove thick plaques, redness, scaly skin, and itching, associated with psoriasis and gives you a noticeably smoother natural looking skin when used as directed. How do i use Evenly Plus? Cleanse areas of psoriasis with anti-bacterial soap. Pat Dry, and apply Evenly Plus thoroughly until formula is fully absorbed into the skin. Use as often as needed, recommended however 3 to 4 times daily for significant effectiveness. What results can i expect using Evenly Plus? You will see significant change in the affected psoriasis areas. The skin will start looking more moisturized and healthy looking and eventually the scales and plaques will be easily removed during bath and cleansing. Avoid scratching and irritating skin. With continued use, your skin will become smoother, more evenly toned. Once the psoriasis plaques have been removed and skin looks healthier, because psoriasis is a chronic condition with no known cure at this time, a maintenance program will be necessary to avoid the plaques from resurfacing. Our maintenance formula will be available Evenly Plus - Maintenance Formula. No side effects have been reported or identified. 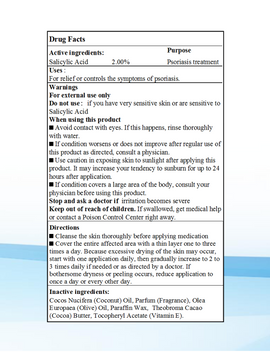 The Evenly Plus Formula is made up of all natural oils, however If user has a history of multiple allergies, it is recommended to apply a small portion to the inner forearm, if any signs of flaming redness or irritation develops discontinue use and consult a Doctor. Evenly Plus® is a Registered Trademark of Evenly Plus Incorporated. 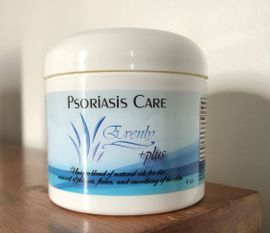 Topical Approach with power pack natures oils for the Treatment and Management of the skin symptoms of Plaque Psoriasis .